I came to the United States in August 2017 on a Fulbright-Nehru Grant for Academic and Professional Excellence and my discipline is Film Production/Cinema Studies. 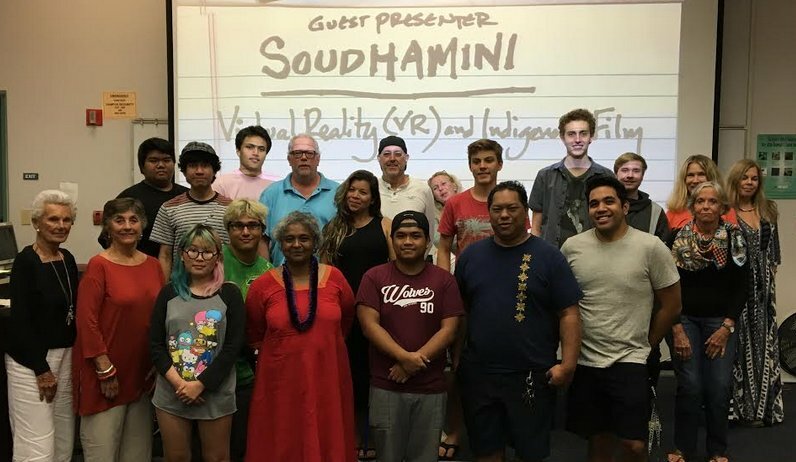 My project was to understand how turning digital has changed the cinematic narrative and on arriving here I decided to focus on Virtual Reality Storytelling. The faculty of the Dodge College of Film and Media Arts at Chapman University were my hosts. They have just initiated an Institute for Creative Reality to explore the fields of virtual reality (VR) and augmented reality (AR), so it was a good place to start. I began by watching a lot of films with the virtual reality system Oculus Rift, focusing on fiction both in live action and animation. I found the faculty extremely helpful and friendly and was often invited for events in Los Angeles or Buena Park that were to do with VR. By November 2017, I published “The Fluid Gaze in VR” in Chapman’s online peer-reviewed journal Anastamos. In March, I also presented a conference paper on Sound in VR at the CNA Sound and Storytelling International Conference organized by Chapman University. I loved the climate in California and found myself much more productive than in India, being able to work long hours without distraction and with my basic needs taken care of. My brother and his family live in San Jose and I made two quick trips during a long weekend and Thanksgiving break. It was the first time I was visiting them in their U.S. home. We visited the Yosemite and Grand Sequoia National Parks, and that is how the travel bug bit me. I felt this was the ‘real’ America, and not what Hollywood shows you, which is mostly urban. From Orange I began to take the Metrolink to San Clemente Pier. A weekend day pass cost just $10 and I could spend the whole day at the beach, walking, and talking to people. The Fulbright Enrichment Seminar in San Diego was an occasion to travel this coastline further. I also managed quick weekend getaways to Las Vegas, the Grand Canyon, and San Francisco. I visited many museums including the San Francisco Museum of Modern Art, and the Broad and Getty in Los Angeles. Coming from India which is largely an oral and performance tradition, the visual arts scene in the U.S. exemplified by the museums was a great source of inspiration for me in my new field of study. I started to look at virtual reality not simply as a technology but as visual art. In the spring, I traveled further afield. 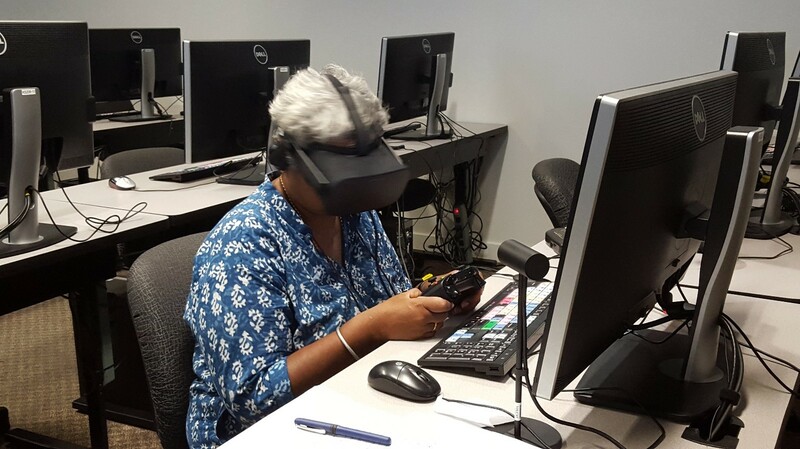 I had invitations to speak about my previous documentary work on the indigenous traditions of India as well as on VR, from the University of California, San Diego, San Diego City College, Mount Holyoke College, and the University of Texas at Austin. Besides this, I accepted two Outreach Lecturing Fund visits. 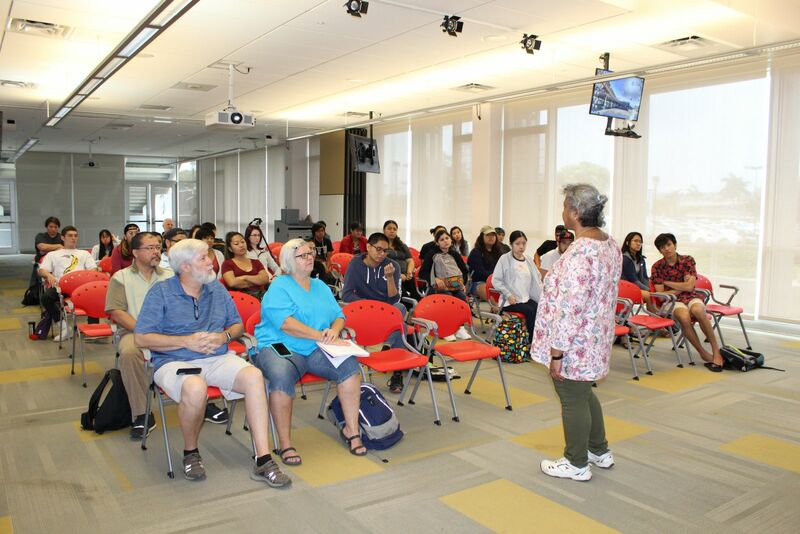 After listening to a webinar, I realized that Fulbright was keen for the program to reach outlier states and community colleges, and so I initiated conversation with Fulbright Scholar Liaisons in Hawaii and Alaska resulting in invitations from both. Thus I visited the University of Alaska at Fairbanks, and I gave four lectures on three islands over a three-day trip to Hawaii. This was the most significant part of my Fulbright visit-- meeting diverse student populations including Native Alaskans and Pacific Islanders. Their response to my work and being able to share my research insights with them was deeply fulfilling. I would urge all Fulbrighters to travel as much as they can in this vast and beautiful country as it provides a living picture of the country’s first principles of diversity and equal opportunity for all.